From the creative mind of Nicholas Lawrence comes Blade: a classic stage illusion turned close-up! An homage to the famous Sawing a Woman in Half illusion, Blade allows you to mysteriously split an ordinary card into two separate moving pieces right in front of your spectator's eyes! After the card is split, you effortlessly fuse the pieces back together without any additional cover. The best part? You can immediately hand everything out for examination! - Blade arrives ready to perform right out of the box. 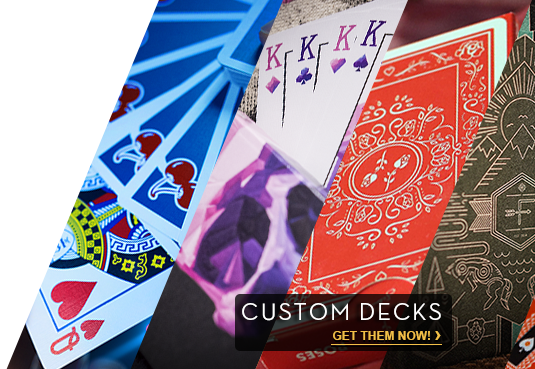 - Each gimmick is handmade by Nicholas Lawrence and the Abstract Effects team. - Immediately hand everything out for examination. - Each package comes with a fully built gimmick as well as additional materials for customization.